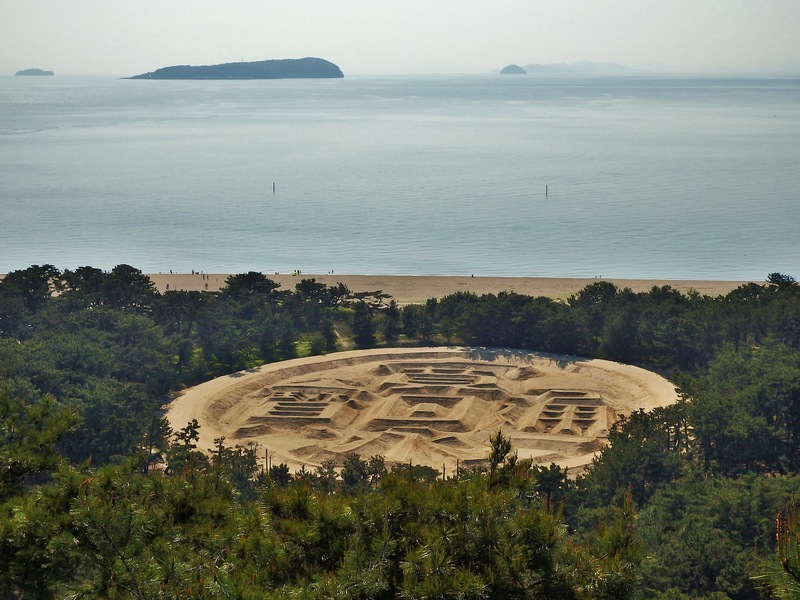 The Seto Inland Sea’s ‘art island’, Naoshima, is now on the bucket list of many tourists. 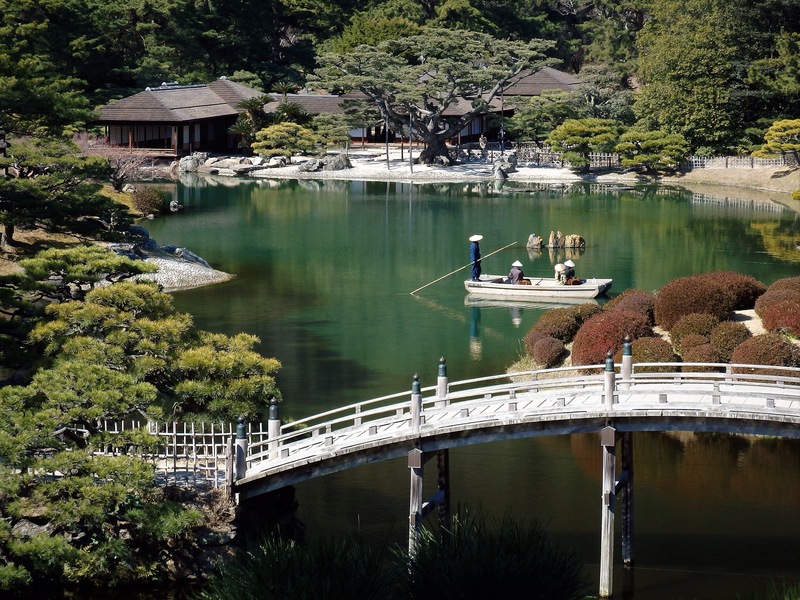 Most visit the island and then head off to another famous location on the Japanese main island of Honshu. Unfortunately, they miss the opportunity to explore many fantastic lesser known sightseeing spots in the rest of Kagawa Prefecture. If you travel to Naoshima, consider adding some of these destinations to your itinerary. The two main access points to Naoshima are from Uno Port in Okayama Prefecture and Takamatsu Port in Kagawa Prefecture. I recommend traveling through both on your journey. Take the Shinkansen to Okayama Station, then travel fifty minutes by bus or train to Uno Port. The boat out to the island takes twenty minutes. 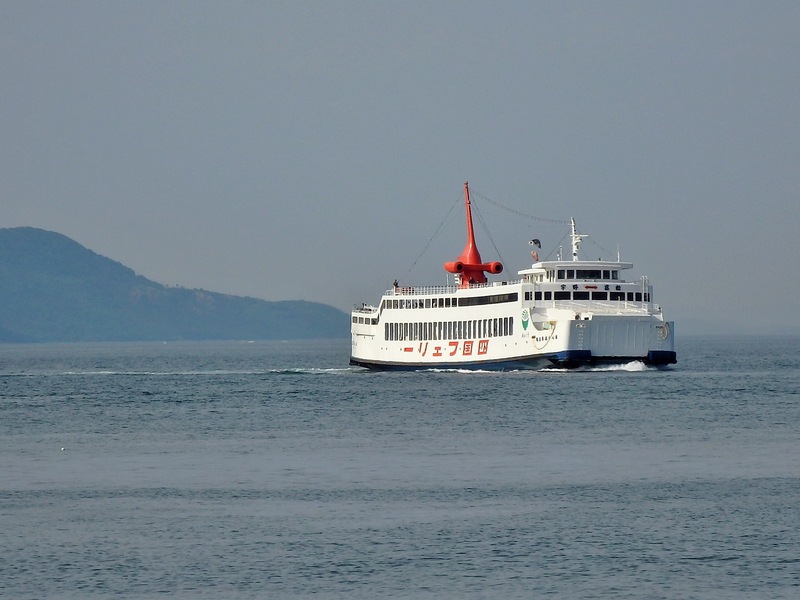 On your departure from Naoshima, take the boat to Takamatsu Port (sixty minutes). Takamatsu is the capital of Kagawa Prefecture and the city has approximately 420,000 residents. As the closest port to Japan’s main island of Honshu, it flourished as a castle town and is still a vibrant city. Use Takamatsu as your base and fly out when it is time to leave. Takamatsu Airport is a forty minute bus ride from Takamatsu Station & Port. Tamamo Koen is a short walk from the station and port. This park contains the ruins of Takamatsu Castle and Kagawa’s Prefectural Museum. About fifteen minutes away by train is Ritsurin Koen, perhaps the loveliest Japanese garden that I’ve ever visited in Japan. Just to the east of the city center are two small mountains beside the sea. The top of Mt. Yashima can be reached by bus or car. 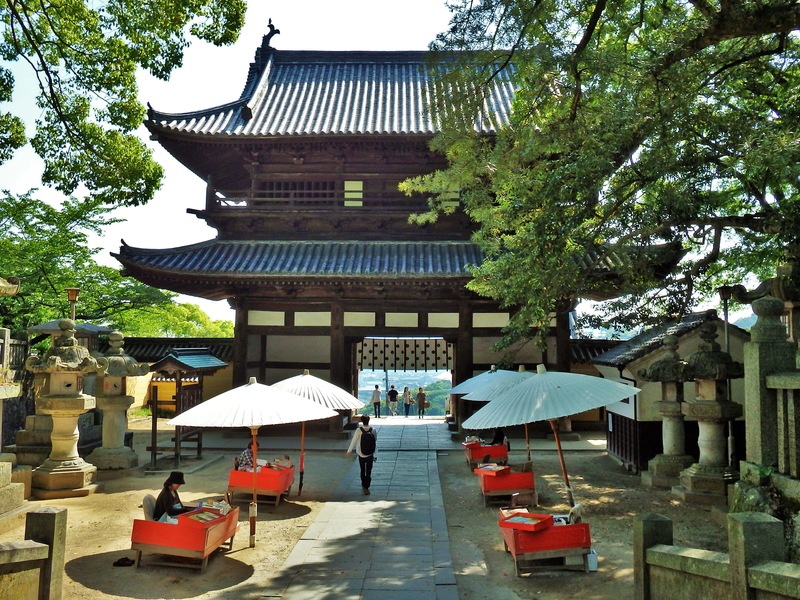 There are walking trails, the remains of a battlefield, gorgeous views of the Seto Inland Sea, and Yashima-ji, #84 of Shikoku’s 88 Temple Pilgrimage. Travel up nearby Mt. Goken by cable car to visit Yakuri-ji, temple #85. Goken means ‘five swords’ and gets its name from five peaks that point upwards like a row of these weapons. Downtown Takamatsu has some of the best shotengai (traditional covered shopping arcades) in all of Japan. If you stay overnight in the city, have a drink in the Tokiwa Shinmachi area. Or, dine seaside at Mikayla, beside Takamatsu Port. 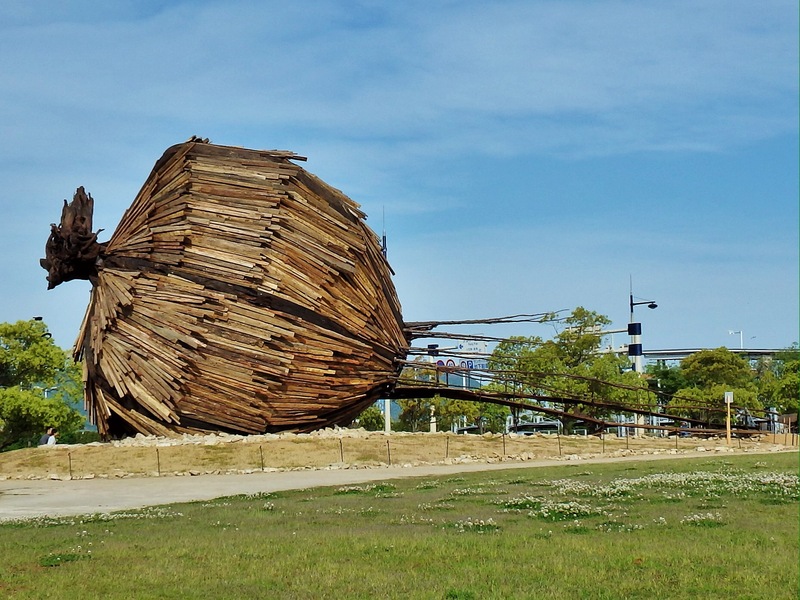 It is also important to note that Naoshima is not the only place to view outdoor art. Many pieces are on display within Takamatsu City, and on some of Kagawa’s other islands. Only forty-five minutes by train from central Takamatsu is famous Konpira-san, also called Kotohira-gu. This shrine, which was also a temple, dates all the way back to the first century and is built on the slopes of Mt. Zozu. 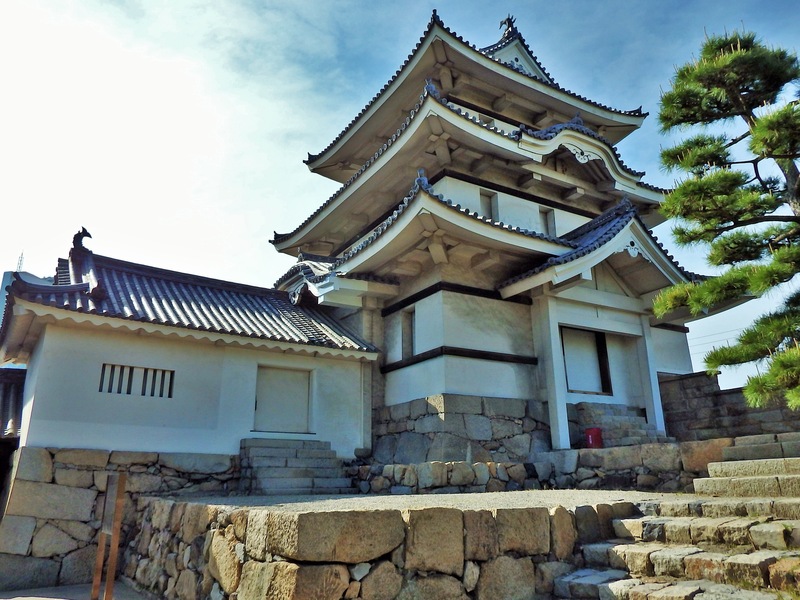 It is one of Shikoku’s top sightseeing spots and is very impressive. 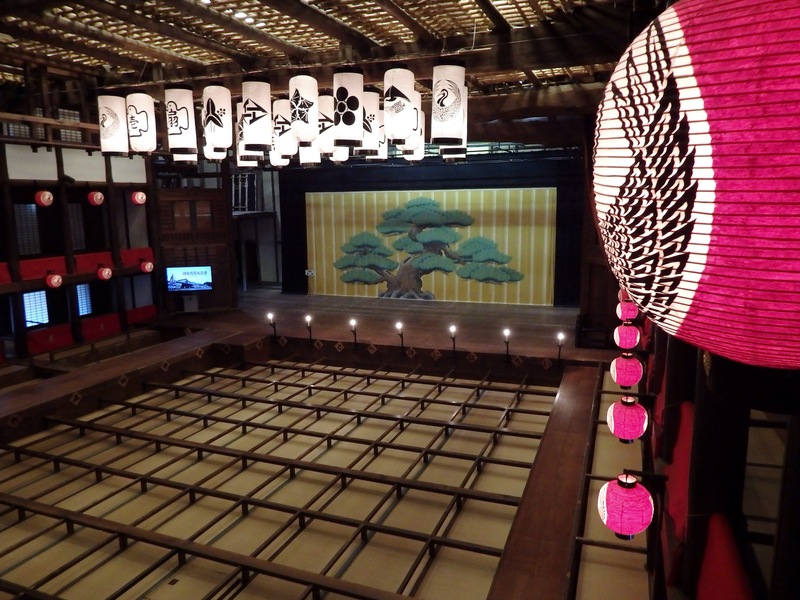 While there, don’t miss the Kanamaru-za, a beautiful, historic Kabuki theater. And, reserve in advance to make your own noodles at the Nakano Udon School. I’m not really a fan of ‘making’ things on vacation, but the experience I had is one I will never forget! If you are interested in visiting more of Shikoku’s 88 Temple Pilgrimage, Zentsu-ji (#75) is definitely worth seeing and is only 10 minutes by train from Konpira-san. It is the birth place of Kobo Daishi. 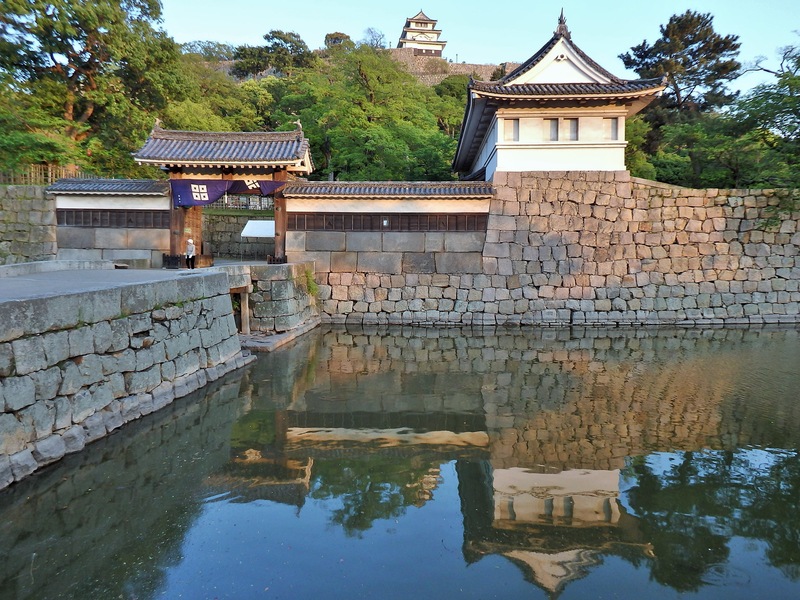 Instead of backtracking, continue along the Dosan Line from Zentsu-ji to the city of Marugame, which is home to one of only twelve castles in Japan with an original main keep. Also in Marugame is another lovely Japanese garden, Banshoen. Few know it exists, so you may have the whole place to yourself. Here is a photo story I did on the garden for JapanTravel.com. From Marugame, take the Yosan Line back to Takamatsu. Along the way, it is possible to stop at another of Shikoku’s 88 Temple Pilgrimage, Sanuki Kokubun-ji (#80). It is located about half way between Marugame and Takamatsu Stations. If you are traveling by car around Kagawa, I would also recommend a visit to Zenigata Sunae, coin shaped sand art dating back to 1633. Fortunately, almost every other major sightseeing spot in Kagawa Prefecture can be reached easily by mass transportation. *Tokushima Prefecture’s Iya Valley and/or Naruto are also easy to visit from Takamatsu. Another option is to explore the many islands near Naoshima as there are ferries connecting most of them.